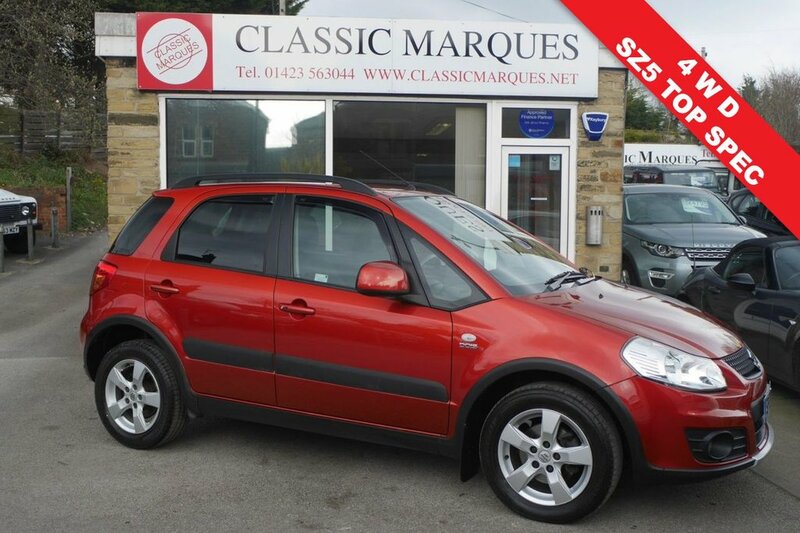 This lovely Suzuki SX4 2.0 SZ5 DDIS is a gorgeous car which has been cherished and very well cared for with a Full Service History. This vehicle has an excellent specification including Electric Heated Windows and Mirrors, Cruise Control, Air Conditioning with Climate Control, Six Speed Gearbox, Choice of 2 or 4WD, Roof Rails, Wind Deflectors and Rear Tinted Glass. Other superb features include: a Rear Load Liner, Multi Function Steering Wheel, Central Locking, Alarm / Immobiliser and Alloy Wheels. All vehicles from Classic Marques are supplied with MOT, Warranty, Two Keys and will undergo an extensive PDI prior to handover.